Old people. Orchestras. And stuck up musicians. Is that what you think of when you think of classical music? 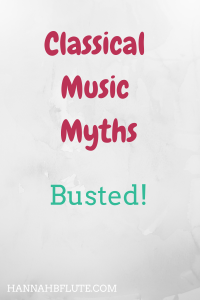 Author HannahPosted on April 15, 2019 April 13, 2019 Categories Music, Music CognitionLeave a comment on Classical Music Myths: Busted! You just finished a super productive practice session, and you’re feeling good. So you take apart your flute and go to shut your case. Not so fast. 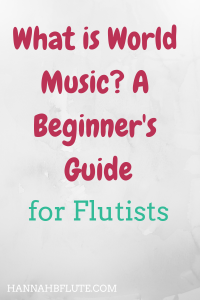 First, you need to clean your flute. 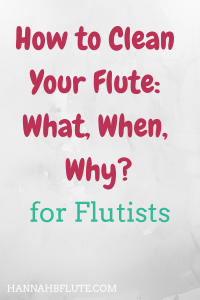 Author HannahPosted on April 8, 2019 April 8, 2019 Categories Alto Flute, Flute, Piccolo, TipsLeave a comment on How to Clean Your Flute: What, When, Why? When you think of world music, what comes to mind? Really. What do you think of? Alright, alright. 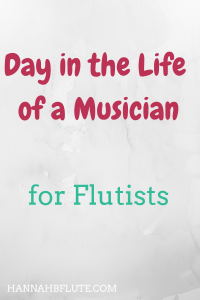 Today, I am going to be sharing a day in the life of a professional musician. While I am not a professional musician yet, it is a goal that I am working towards. I want to share what I am doing to reach those goals. 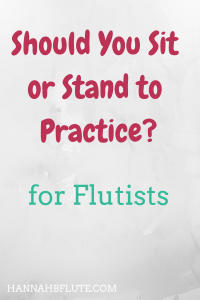 Do you sit or stand to practice? Do you know which is better? Author HannahPosted on March 18, 2019 March 17, 2019 Categories PracticeLeave a comment on Should You Sit or Stand to Practice?